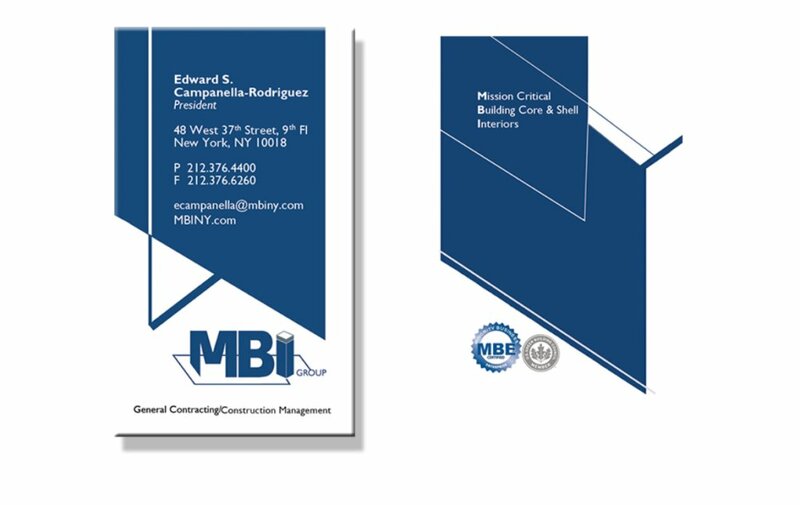 MBI Group is a large general contracting and construction management firm located in NYC. MBI Group was a long-term client, whom we did branding and marketing for. We helped to completely rebrand the image of the firm, primarily focusing on client focused materials. We were also heavily involved in the production and submittals of RFP’s for new projects, which resulted in the award of numerous multi-million dollar projects. We were heavily involved in building the corporate interior sector of the business. 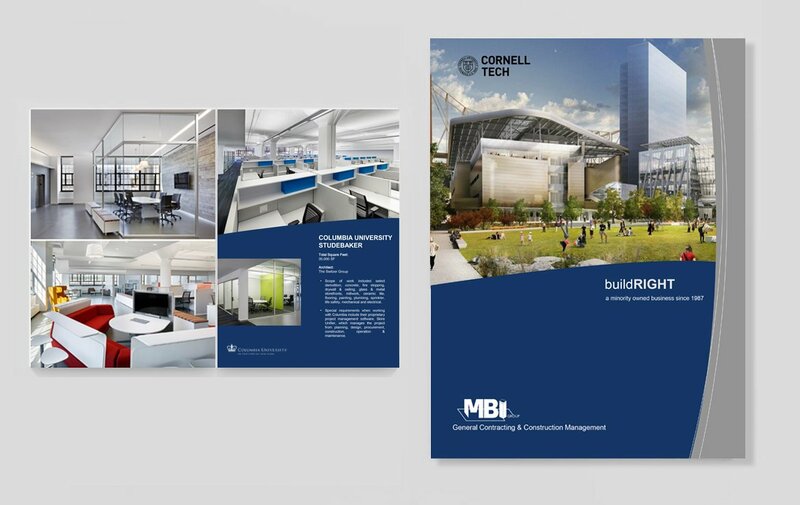 MBI Group’s work includes projects for NYU, Columbia University, Empire State Building, CNN, Coach and TD Bank.